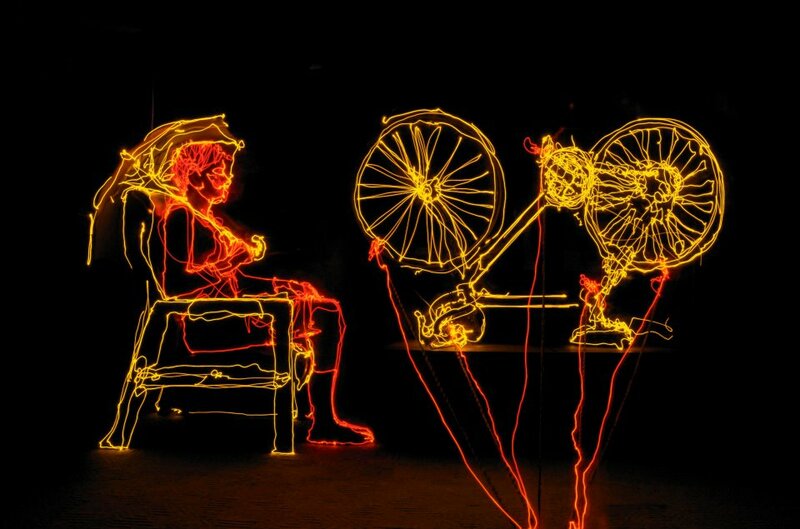 Light painting artist Brian Hart has been creating his light painting images for some time now. 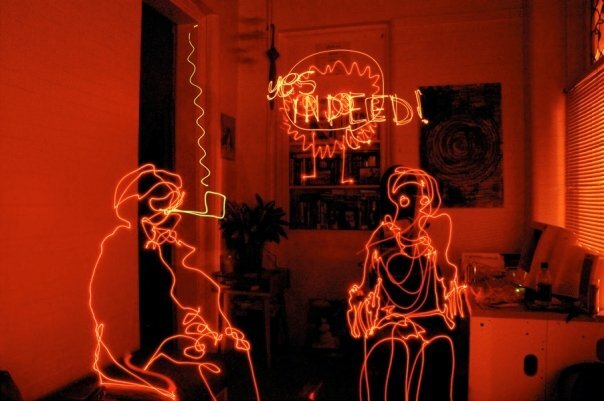 He has developed a style of light line work that can be instantly recognized as his own. Brian’s exposures can go for 20 minutes or more in which he intricately traces every detail of a scene. 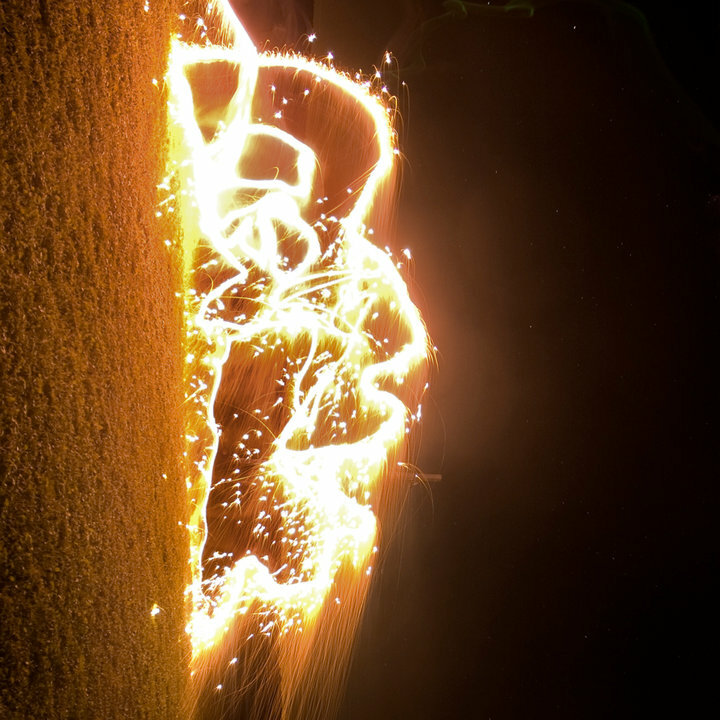 He is also know for creating technically complex images such as “Dark Water” and “The Garden” where Brian shoots upwards of 200 individual [unique] photographic exposures with the intent of placing them all together to create one grand image. His work has been shown on an international level. 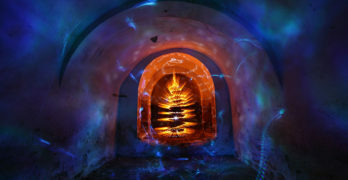 View some of Brian’s images below and read the entire light painting photography interview. If you would like to see more from Brian check out his website HERE. BMH ∇ brian matthew hart. BMH ∇ i do not. BMH ∇ not part of a specific collective but make drawings with others often. BMH ∇ undergraduate degree in studio art [drawing, photography, design]. BMH ∇ freelance photographer/illustrator/designer/retoucher. i’ve been working for a large corporation, in and around their photo studios, for the past 5 years. BMH ∇ about 10 years. 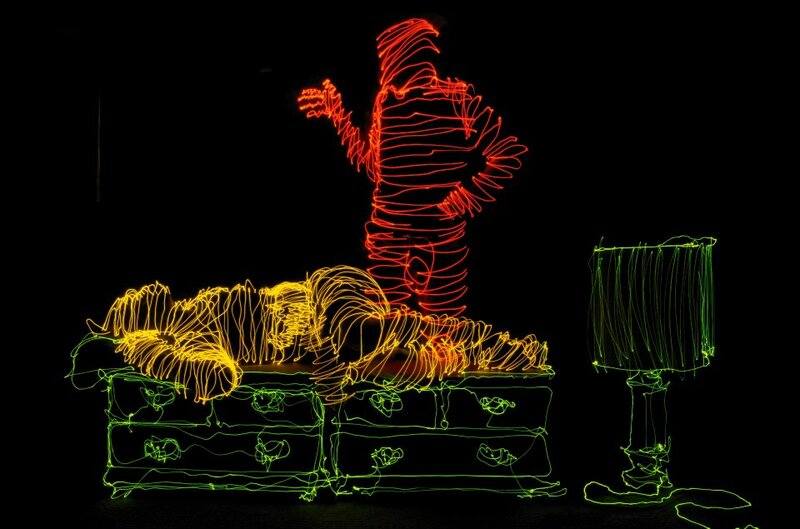 BMH ∇ i’ve been making light drawings since 2006. BMH ∇ staying up late, camping out with friends along a river in northeastern iowa. 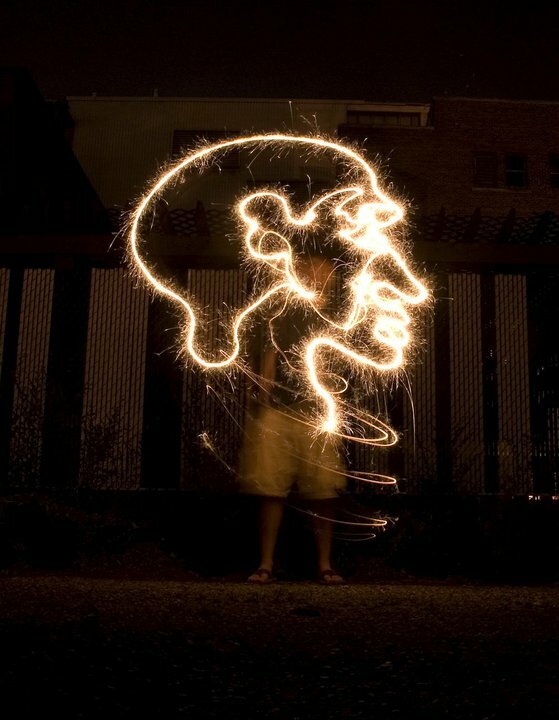 BMH ∇ drawing a face with my cell phone. BMH ∇ i think the probability is high that life exists elsewhere in the universe – yes. 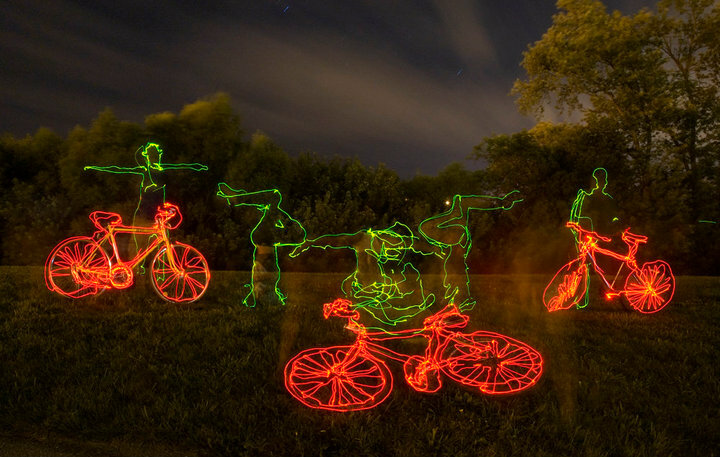 BMH ∇ camera, tripod, remote, pin lights, people, dark dark darkness. 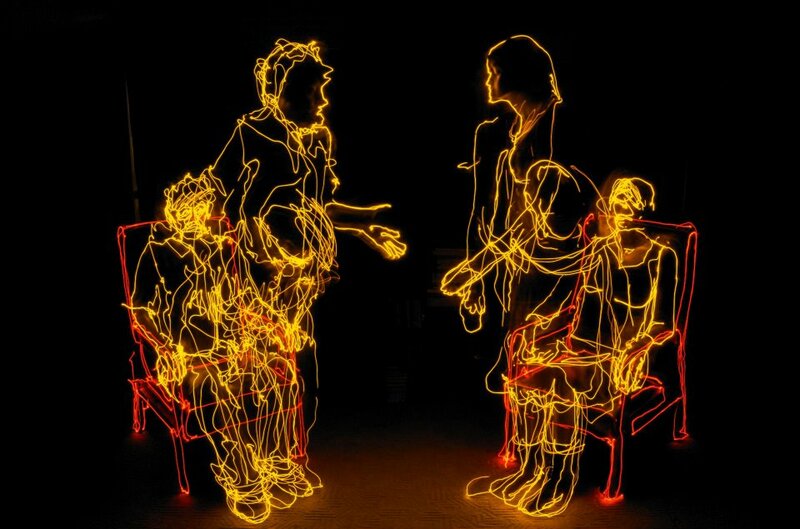 BMH ∇ the people who participate in making light drawings with me, other light artists, other artists in general. 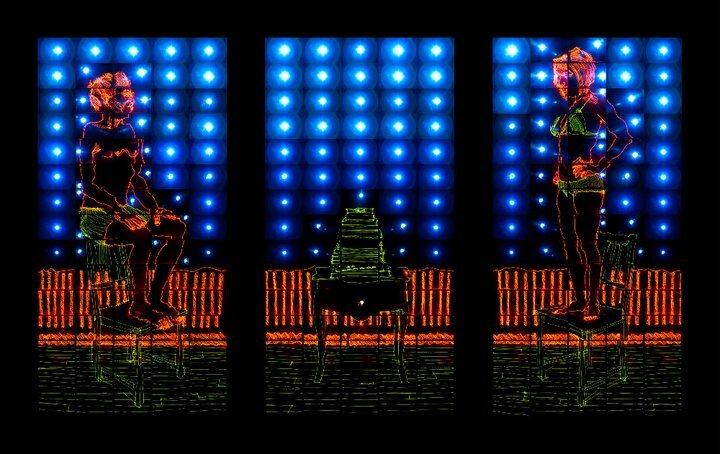 BMH ∇ there are so many amazing light artists out there – both historically and currently practicing – but i’ve been really drawn to the work of tokihiro sato lately. 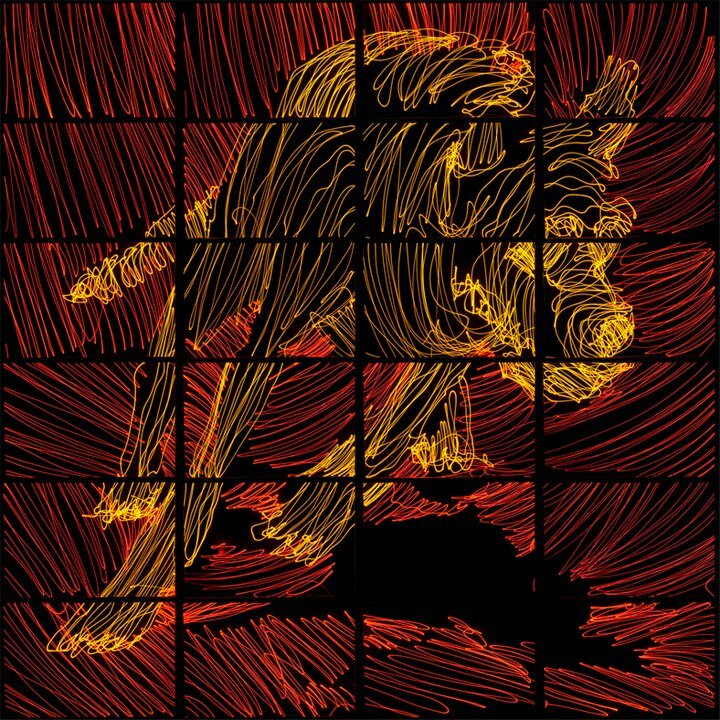 His images are really amazing and i felt a connection with them immediately upon being introduced to them by a coworker. BMH ∇ green curry chicken. BMH ∇ ‘traditional’ photography, drawing [i love ink on paper], digital work, painting [infrequently] – basically any 2D medium i feel very comfortable with – not skilled in three dimensions. 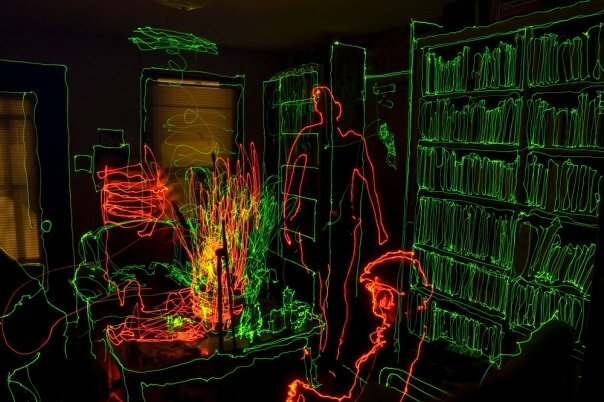 BMH ∇ i really like ‘manhattan’s library’, as far as a single-shot light drawing goes. 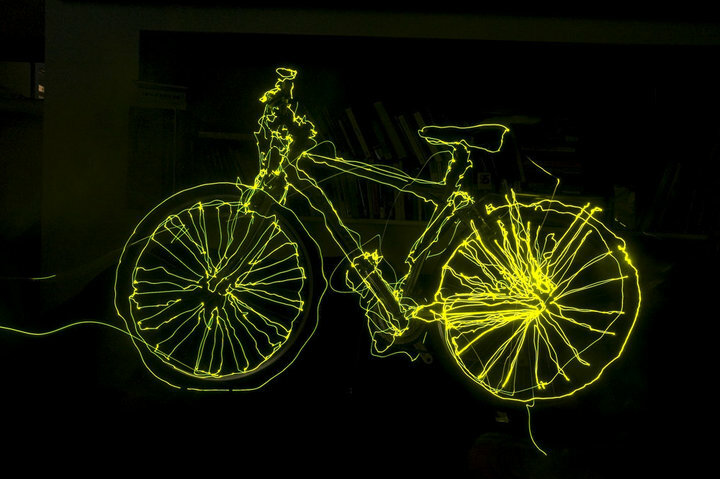 and for the composite image light drawings, I suppose ‘dark water’. gonna keep pushing the envelope in 2012, so keep your beadies peeled. BMH ∇ pretty big fan of tokihiro sato’s ‘photo respiration #22’ [and the rest of his photo respiration series]. 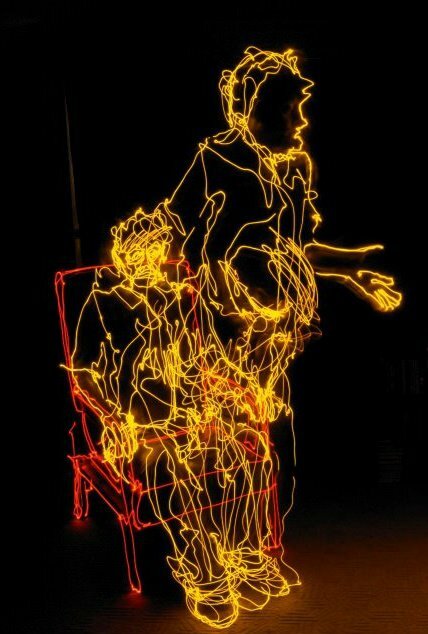 and I’ve always loved this image from french light artist, bruno mesrine. BMH ∇ finding enough time to work on it. 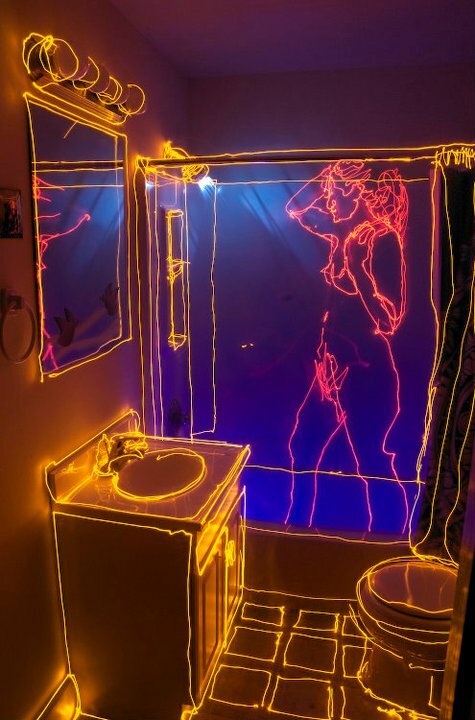 LPP ∇ How do you get you Light Painting Photography work seen? BMH ∇ well, the internet is pretty huge. 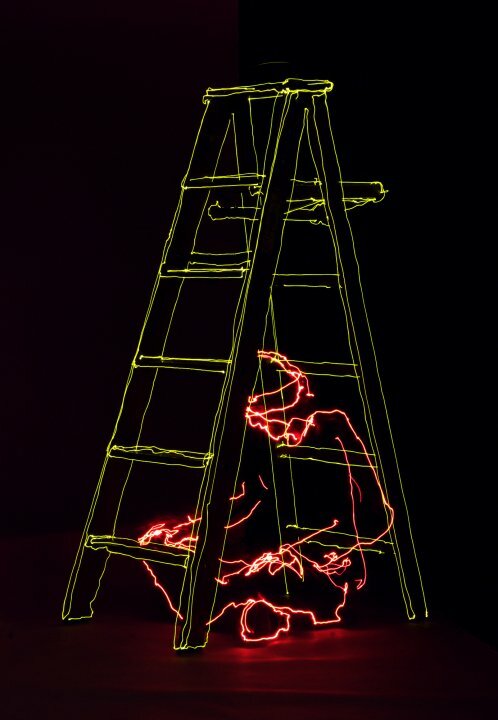 i’ve also been lucky enough to show my light drawings in several gallery/museum group shows locally and internationally. but my favorite show i’ve been in so far was papergirl berlin back in 2009 [i think]. the work was submitted, shown in some large warehouse-like space for two weeks, then given away to people on the streets of berlin. free art – a beautiful idea. BMH ∇ as far as ‘are they for sale?’ – yes. as far as ‘have you sold any?’ – no. BMH ∇ i am not. BMH ∇ my facebook page [http://www.facebook.com/brianmatthewhart] is currently the largest repository of my light drawings [amongst other creative endeavors]. 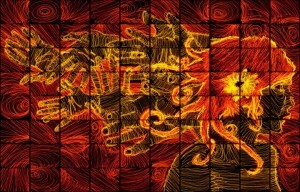 you can also check out my antiquated google site [http://sites.google.com/site/brianmatthewhart/] for a modest selection of work. BMH ∇ went to a local beach to do some solo drawings in the lake one night. this semi-drunk homeless guy walks up to me as i’m tracing a boat in the water and asks me what I’m doing. i tell him about the process and he stands there as i complete the exposure. he then joins in for a few drawings over the next hour or so, we talk a bit about life and we go our separate ways. 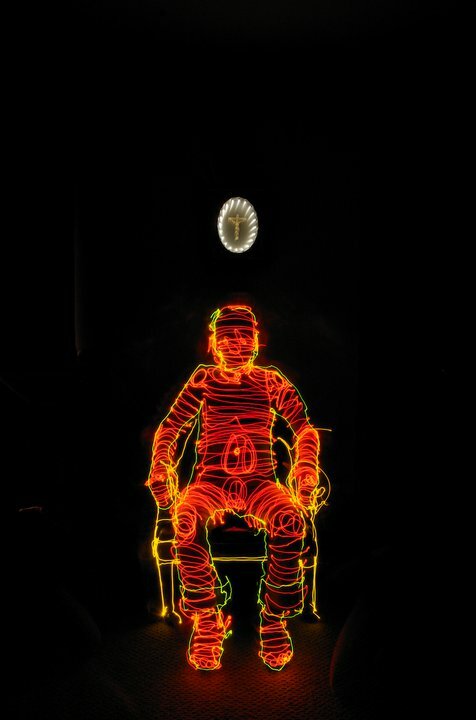 his name was jim and he was definitely the most random cohort i’ve had in making light drawings. BMH ∇ my friend andy and I were out just a couple / few weeks ago drawing on a golf course. we had just finished an exposure of this tree – outlining it in red – and he suggested we do another exposure of the tree with several colors, chosen at random / on the fly as the camera was exposing. we were setting up the shot / our cameras and it started to snow, so this was going to be the last shot that night. it was maybe like a 5-10 minute exposure and I heard both the click of the shutter when i opened it and the click of the shutter when i closed it – but when we were walking back to the car the photo wasn’t on the camera – it had somehow not written to the card. time for a new card or time for a new camera. BMH ∇ i tell them what i’m doing. BMH ∇ i’m fascinated by it. it’s the most interesting way i can currently think of to make images. 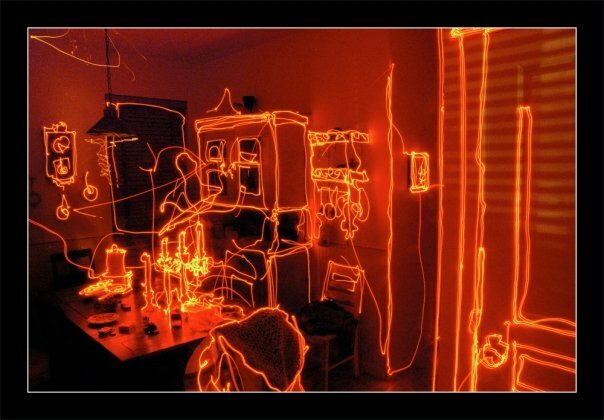 BMH ∇ people [in general], people [interacting], structural interiors, geometric forms. BMH ∇ inside, friends’ houses / apartments, places i haven’t shot in before. 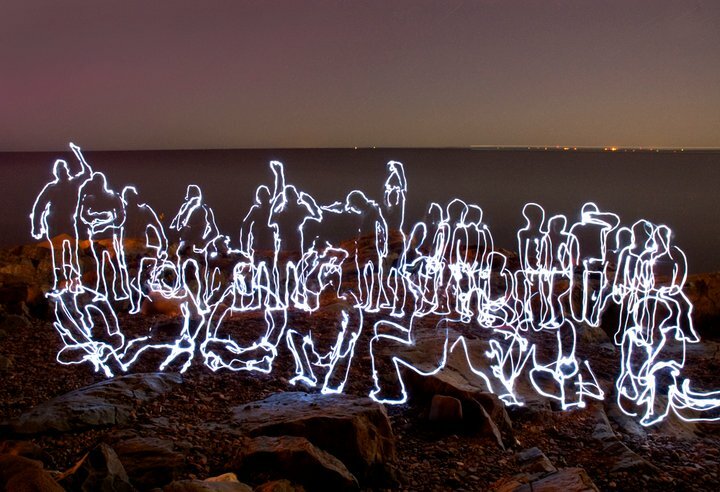 BMH ∇ anywhere there are a bunch of other light artists to collaborate with. of course, drawing the terracotta army in china would be an amazing experience. BMH ∇ i have not. LPP ∇ How many times have you heard the work photoshop when someone was describing or asking about your work? BMH ∇ never in describing [or at least i’ve never heard anyone use that word while describing my work], but people used to bring it up when asking about it in the past. 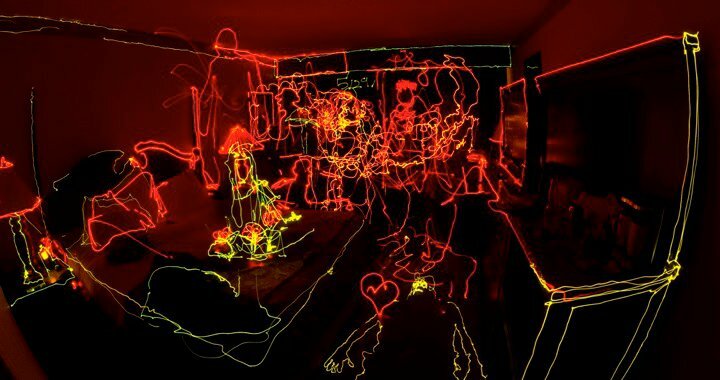 i think more and more people are becoming aware of the technique – they’re becoming more informed – so it’s less often that i need to explain that there is no manipulation of my light drawings. BMH ∇ so many things. BMH ∇ willful ignorance, dishonesty, a closed mind. BMH ∇ the relatively undiscovered territory; the ‘newness’ / freshness of the technique; the potential just waiting to be unlocked / discovered / exposed. but you might say, ‘brian, people have been doing this for almost 100 years now’, and i might say, ‘yeah, but not like we’re doing it these days’. i don’t think we’ve even really scratched the surface of all the different ways you can make an image with a camera, and it’s a very exciting endeavor to undertake. i also really like making strange new images with other people – so, the sometimes social aspect of the technique is a pretty big draw for me. BMH ∇ waiting for the image to process in-camera [when shooting digital with a noise reduction filter]. BMH ∇ i could really go on for a while about this, but let me say that my idea of light painting is bouncing light off of objects and into the camera – indirectly lighting / painting the scene with white or colored light. 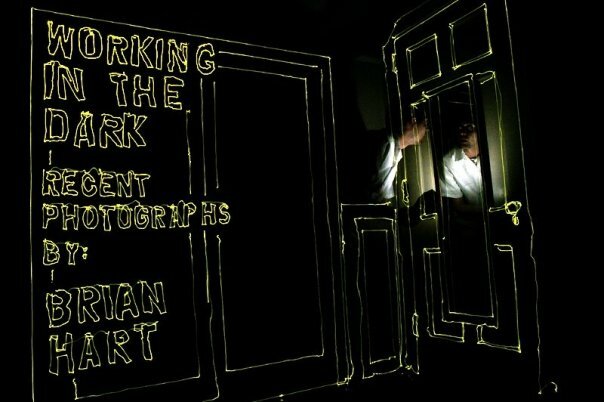 i see my work, and the work of almost ever other light artist, as light drawings – directly shining light into the camera as a line-making technique. 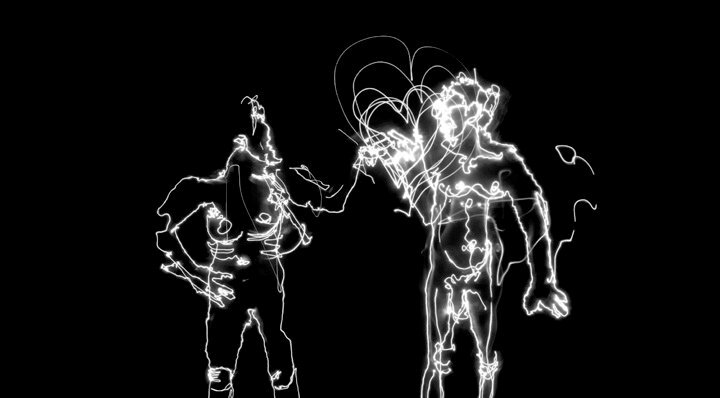 i think a lot of people out there label their work as light painting incorrectly – i don’t see the connection with making a bunch of lines with light and the idea of painting. so, for my work at least, it’s very important to make this distinction – as far as communicating what i am trying to achieve with these techniques. i’m not trying to make an exquisite painting, i’m making drawings. 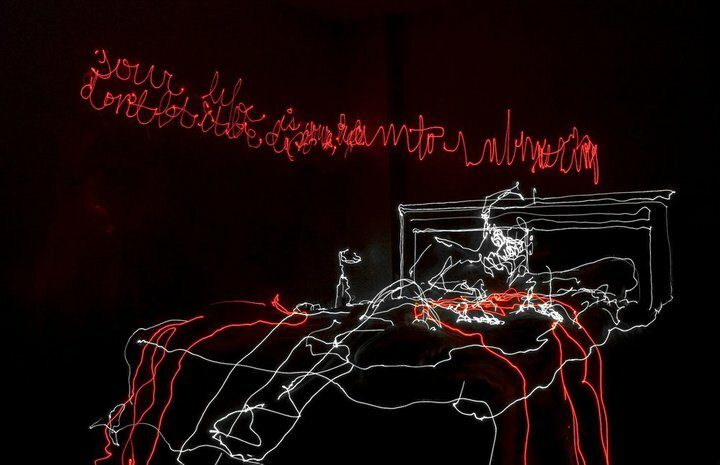 but tomato-potato, don’t know if it really matters with all the different names that images like the ones that this community creates are labeled with [light painting, light drawing, light writing, light art, light art performance photography, light graffiti, lightgraff, and on and on and on…]. BMH ∇ your light source is critical. your environment is critical. low low iso. try different aperture settings. don’t do what everyone else is doing. experiment. play. work with others. as much as your images can benefit from a bunch of planning, don’t forget to just open the shutter and see what you get. 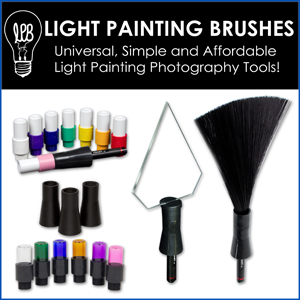 you’re working with light – educate yourself in optics and the physical properties of light – know your medium.